The city of Las Vegas is the most populous state in the state of Nevada and the 28th most populous city in the US. It is the county seat of Clark County and is famous for being a major resort city. All sorts of vices are concentrated here, and substance abuse is one of them. 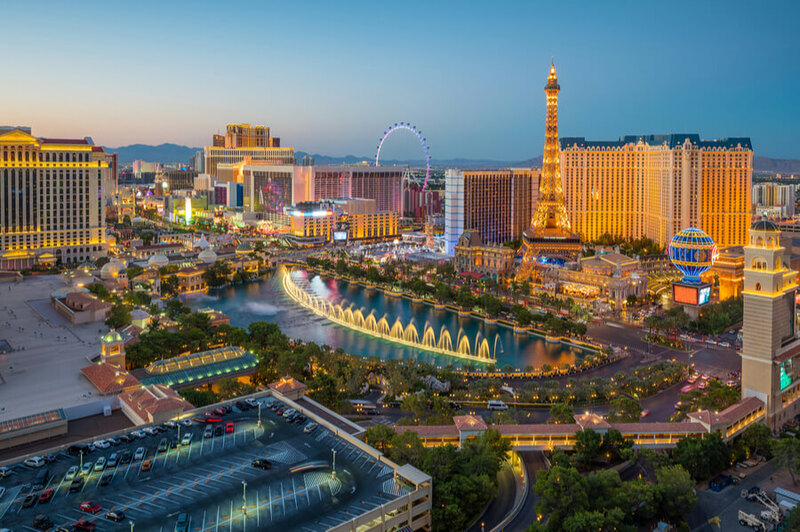 It is mainly unsurprising that residents of the city of Las Vegas are struggling with substance abuse because the city is well known for its inclination towards all sorts of gambling and drinking entertainment. Drug users have little or even no trouble in finding drug dealers in Vegas, and the dealers are usually on hand to deliver. As a part of a country-wide sweep of the ongoing substance abuse problem, this review seeks to encourage sober living in Las Vegas. It seeks to sensitize the city’s drug abusers about the extent of the damage caused by the act, and also suggest methods of rehabilitation treatment for addicts. Substance abuse is a potentially huge threat to life and good living. Once hooked, it can be hard to drop the habit. If you or a loved one are in this situation, please reach out to (888)-459-5511. You will get the opportunity to talk with skilled professionals about how you can get help in the form of rehabilitation. What is the number of substance abuse rehabilitation centers and mental health facilities in Las Vegas? What treatment options do these facilities offer to their patients? How can a patient choose the right rehabilitation center? What are the most commonly abused substances in the city of Las Vegas, Nevada? How Many Drug Rehabs are in Vegas, Nevada? According to SAMHSA, the number of Las Vegas rehabilitation centers available for the treatment of substance abuse patients alone (SA) stands at 42. The number of substance abuse treatment facilities that are also a mental health hospitals in Las Vegas (SA&MH) stands at 60. For the 2018 estimated population of about 650,000 residents, the ratio of resident to a rehab facility is only fair. Usually, a patient would be recommended for one of three possible living arrangements when signing up for rehab. The first is inpatient care. This would involve the patient sleeping within the facility premises for a period of at least one night. It is usually recommended for patients that need to be supervised for some time, possibly to avoid a relapse or just to keep track of the progress of their condition. The number of substance abuse rehabs that provide inpatient care is 6, and the number of SA&MH rehabilitation facilities that offer inpatient care is 11. The second arrangement is outpatient care. This is usually recommended for patients with a mild case that does not require supervision. The patient is allowed to go back home after treatment every day and live their lives as normally as possible. The number of substance abuse rehabilitation centers in Vegas that provide outpatient care is 36, and the number of SA&MH rehabilitation facilities that offer outpatient care is 52. The third arrangement is residential care. This is a longer-term version of inpatient care, where the patient would usually be required to live within the facility’s premises for an extended period, possibly due to a severe case of addiction. The number of substance abuse rehabs that offer residential care is 11, and the number of SA&MH rehabilitation facilities that offer the same is 14. Before going into any rehab program at a Las Vegas recovery center, it is recommended for the patient to detox first. The process of detoxification will help cleanse the body as well as possible in preparation for the development of new habits. It will help the patient to deal better with any withdrawal symptoms that may occur as a result of stopping the abuse of any particular substance. Detox in Las Vegas can be done at any of the detox centers within the city. How To Choose The Right Rehabilitation Center in Las Vegas, NV? The single most important thing to do before making any decision is to consult a qualified physician, possibly for diagnosis and any other advice about how to begin the rehab process. The patient is expected to do some research about the available rehab facilities – there’s always enough information on the internet – and using the factors listed above, decide on which one would be best for their specific situation. If you would like to speak to a skilled professional about your struggle with addiction, or you have a loved one that wants to, please call (888)-459-5511. Your call will be treated as confidential. Possibly the first question that springs to mind is the following: is Marijuana legal in Las Vegas? The answer is yes. Medical Marijuana was legalized in the area as far back as 2010, which means that anyone aged 21 and over could legally purchase the substance. This is possibly one of the reasons why it remains one of the most commonly abused substances in the city, as residents constantly flout the rule that states that a person must not carry more than one ounce of the substance. Scoring drugs in Vegas is easy enough, so it is no surprise to see that Marijuana, with its legal status, is so widely used. However, it is far from the city’s most deadly. Between the years 2005 and 2010, an average percentage of 11.2% of the adult residents of the city used marijuana, a similar percentage to the 10.7% figure nationally. The number of meth-related deaths in the entire state of Nevada is the highest in the country, and the city of Vegas mirrors this trend. It is the city’s most deadly drug. However, law enforcement is making food progress dealing with the influx of imports from the Mexican borders. As of 2016, the percentage of seizures had gone up 270%. While marijuana is the most commonly used substance, meth is the one landing more people into hospitals. More people were admitted for a meth problem than for any other drug in Vegas, and the average percentage of meth admissions in the city was 10% more than the national average. Between the years 2005 and 2010, 6.7% of the adult population of Las Vegas used prescription drugs non-medically. This figure was slightly higher than the national average of 4.9% but stood at a similar level to the state average of 6.3%. The most commonly abused prescription drugs are Oxycodone and Hydrocodone. The former appears to be very popular among users, with sales shooting up 366% between the year 2000 and 2010. By the year 2016, Oxycodone was the leading prescription drug related to drug overdose deaths. It was connected with up to 23% of drug overdose deaths in that year. For people struggling with illicit or prescription substances NA Meetings in Las Vegas, Nevada are available.